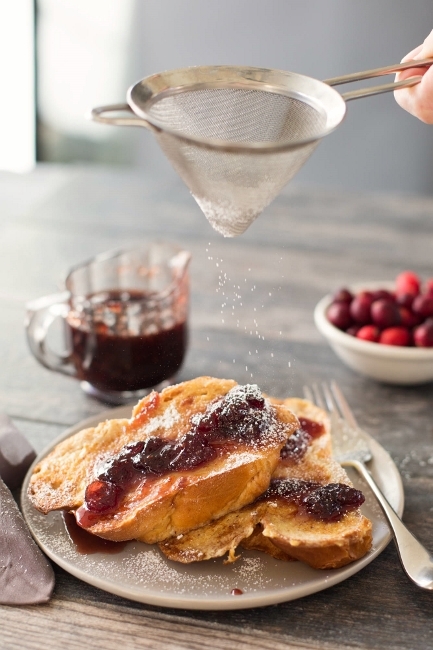 Pain Perdu with Cranberry Maple Syrup - Recipe! - Live. Love. Laugh. Food. 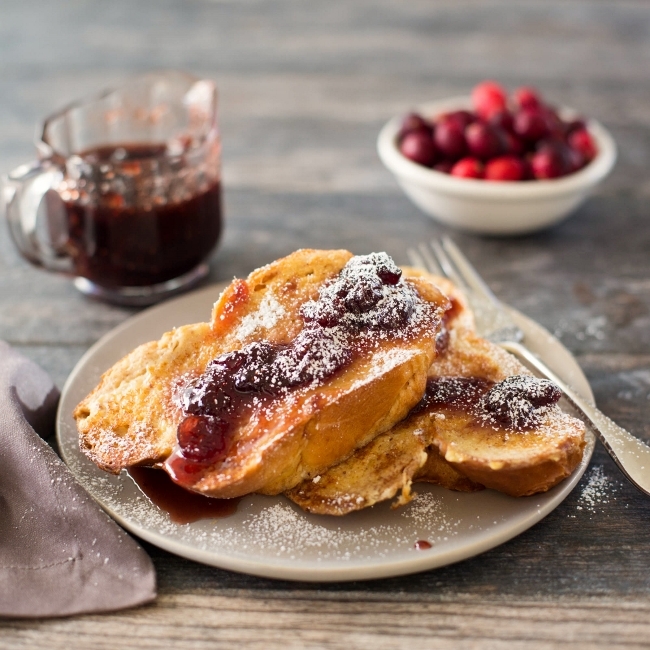 Pain Perdu with Cranberry Maple Syrup – Recipe! Pain Perdu is a French name for lost bread or stale bread used in French toast. This bread is soaked in a custard mixture and griddled, until golden brown and topped with syrup, compote or powdered sugar. 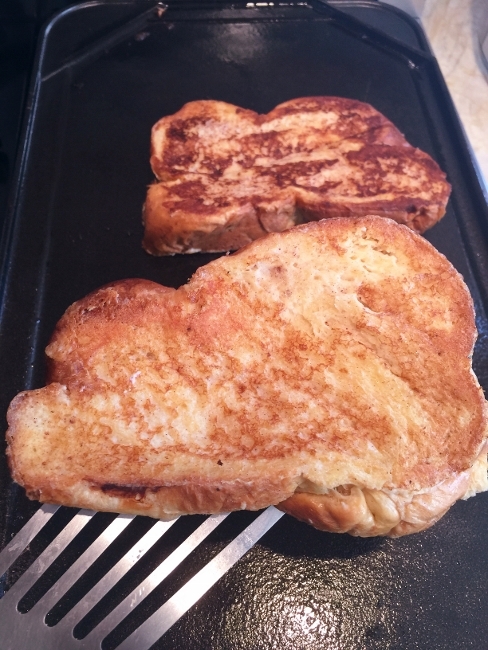 What makes Pain Perdu super special is the type of bread you use and the mixture of spices added to the eggy batter. I am a huge fan of egg bread or Challah in Pain Perdu because the bread acts like a sponge and absorbs the custard with all its aromatics and crisps up, oh so gently. 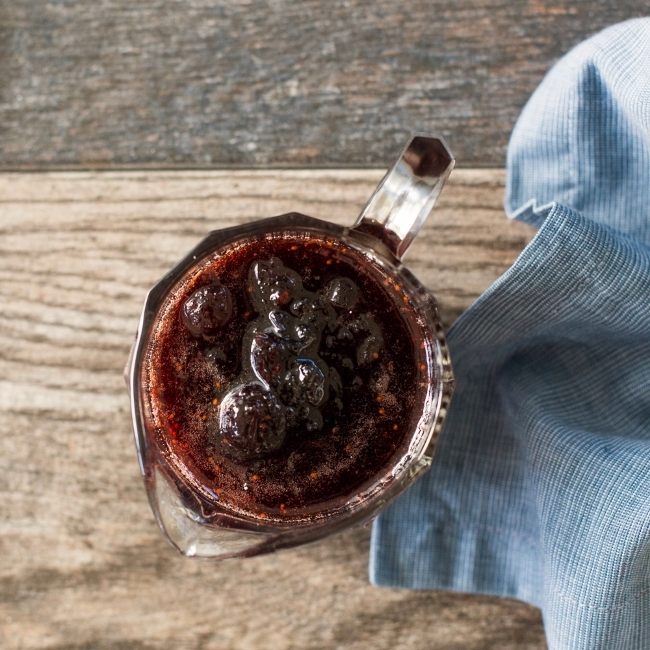 The syrup is a tangy combination of cranberries, orange zest and maple syrup, that cooks down into a thick berry compote. The combination of cinnamon in the custard and cranberries in the syrup, reminds me of the holidays. 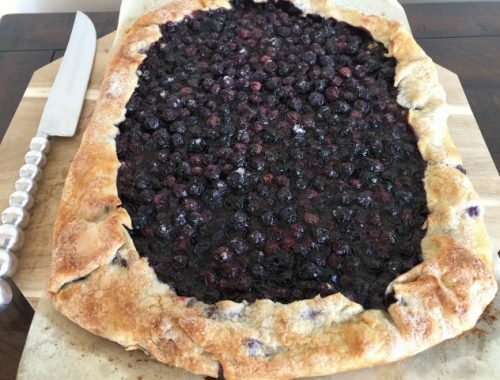 This is the perfect brunch food, or could be served as dessert, after a light meal. 1. Place a large griddle or saute pan over medium heat, brush with butter. 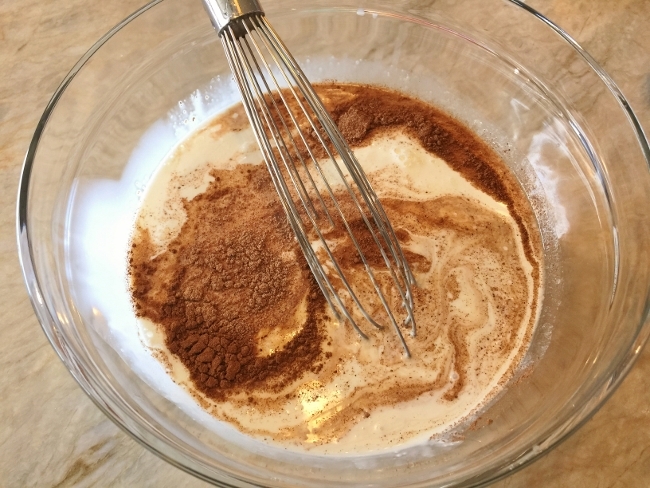 In a large bowl combine the eggs, milk, cream, half & half, vanilla extract, cinnamon and nutmeg. Whisk to combine the ingredients. 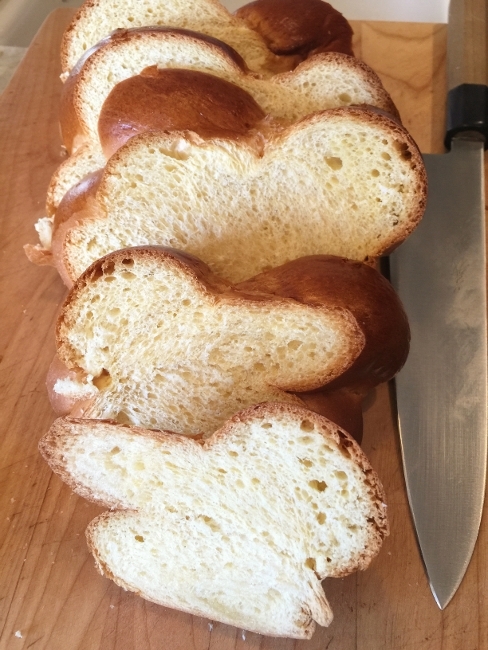 Slice the Challah into 2-inch thick pieces. 2. 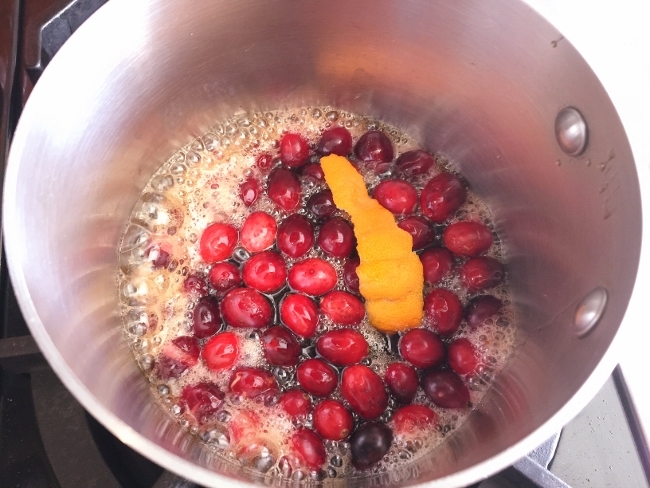 In a small saucepan, combine the cranberries, maple syrup and orange zest. Heat until boiling, then turn to simmer. The cranberries will pop, so be careful. 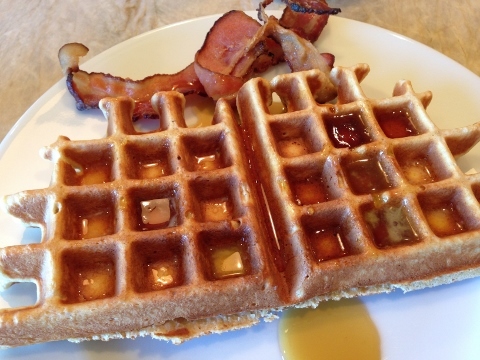 Continue to cook the syrup, while you make the Pain Perdu. 3. Soak the slices one-by-one in the custard mixture, about 1 minute per side. Then, place each piece of soaked bread on the griddle and cook until golden brown, about 3 minutes per side. 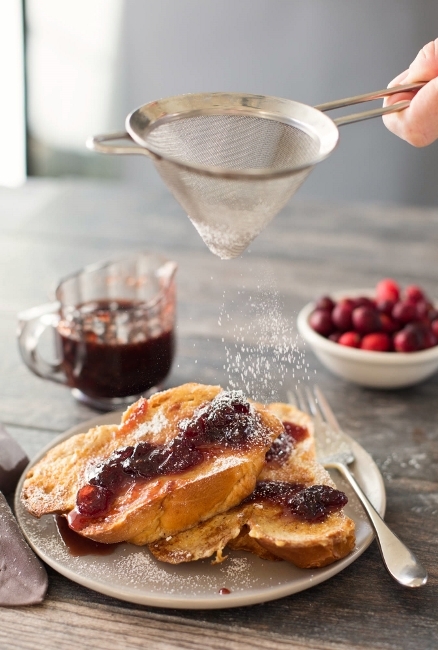 Plate immediately and drizzle with Cranberry Maple Syrup and a dusting of powdered sugar. Enjoy! Best French ToastBest French Toast RecipeBreakfast RecipesBrunch Recipescooking with Gena BellCranberry RecipesHow to Make Pain PerduPain PerduPain Perdu with Cranberry Maple Syrup - Recipe! 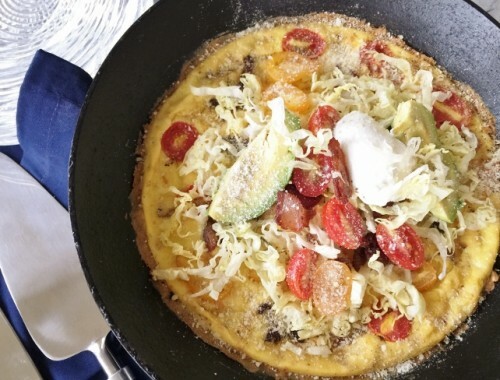 Bacon, Lettuce, Tomato & Avocado Frittata – Recipe!